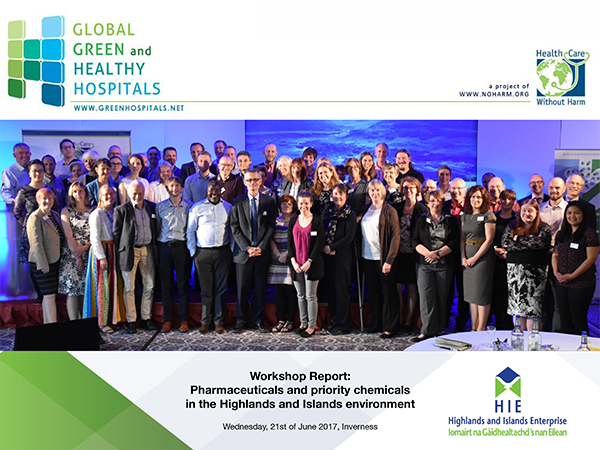 On Wednesday 21st June 2017 HCWH Europe and Highlands and Islands Enterprise (HIE) held a joint workshop in Inverness, Scotland, on ‘Pharmaceuticals and priority chemicals in the Highlands and Islands Environment’. 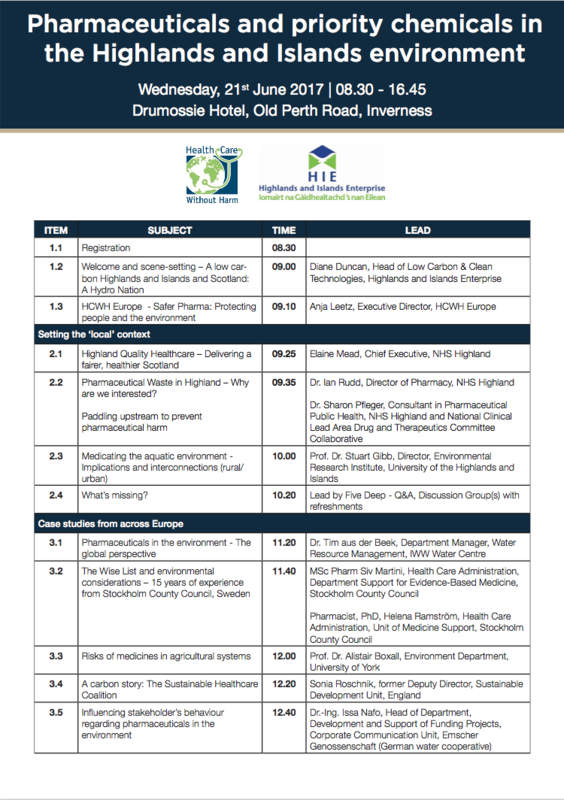 The workshop brought together experts from Scotland and around Europe in order to discuss, debate, strategise, and work together to come up with innovative potential solutions to protect the Highlands and Islands environment and people from pharmaceutical pollution. Here you can find the workshop agenda, report, and presentations.